This entry was posted in Reflections, spring and tagged hope, New Beginnings, Welcome spring. Bookmark the permalink. Those are some nice pics but not anything like I’m seeing out my window today. The snow is still waist deep here and the temp was 4 degrees when I woke up this morning. Love the photo and the message! I cannot wait until I can toss my wildflower seeds about and concentrate on other spring gardening activities. That shot is perfect, I adore it. You need to put a coffee table book together. Well thank you. Just got my camera lense back from shop…anxious to go play with it. Hope you are feeling tons better!!! 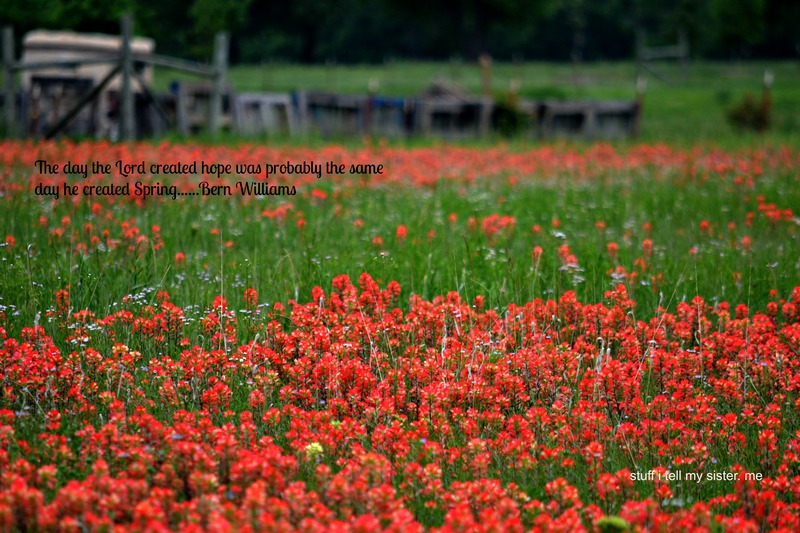 Beautiful photo … and quote – first I thought it was poppy flowers. Yes….from a distance they look like it!